Deeper is a ground-breaking, globally-oriented consumer electronics company based in Lithuania. We create and produce smart electronic devices for sports and outdoor activities. THANKS FOR YOUR INTEREST. CURRENTLY, WE ARE NOT LOOKING TO FILL THIS POSITION. PLEASE VISIT HTTP://DEEPER.EU/CAREER/ FOR A LIST OF ALL THE OPEN POSITIONS WE HAVE AT PRESENT. Deeper’s ground breaking range of smart sonar devices now sell in over 50 markets globally, and as a Retail Business Development Manager you will play an important role in further developing our position in retail sales. – When required, coaching, mentoring and training store teams on retail basics and store merchandizing. – The ability to travel abroad for up to 50% of your working time. – The opportunity to travel frequently and get to know the specifics of retail business in different regions. Please send your CV in English, to career@deeper.eu. 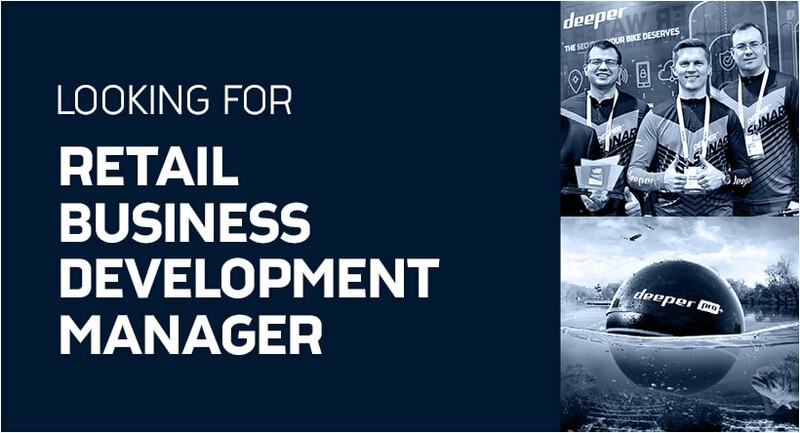 Please use the subject line “RETAIL BUSINESS DEVELOPMENT MANAGER”. Please note, only candidates selected for an interview will be contacted.